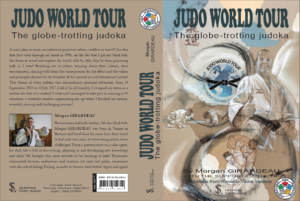 Morgan Girardeau, a french judoka made a personnel journey from September 2015 to July 2017. He visited and trained judo in 41 countries, met and shared the principles and the values of judo with more than 10000 judokas all over the world. Morgan is currently in Ireland training at Wild Geese Judo Club and was delighted to meet Mr Go Tsunoda again here in Ireland at the EJU Improve Your Club seminar.